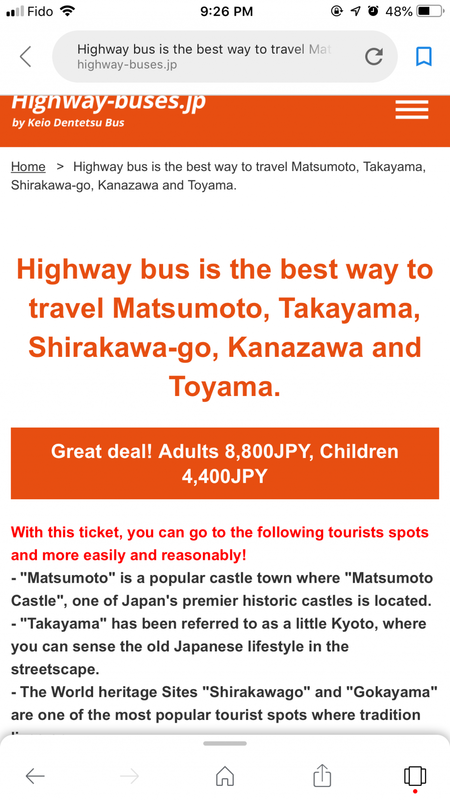 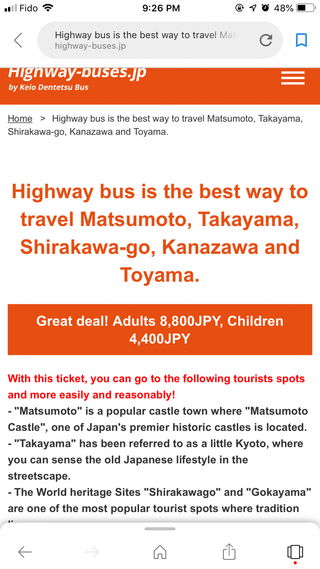 I’m interested in the Three Star route ticket (Matsumoto, takayama, Kanazawa? 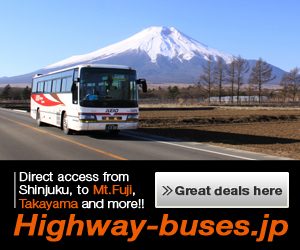 $8,800 yen 7 day bus pass. 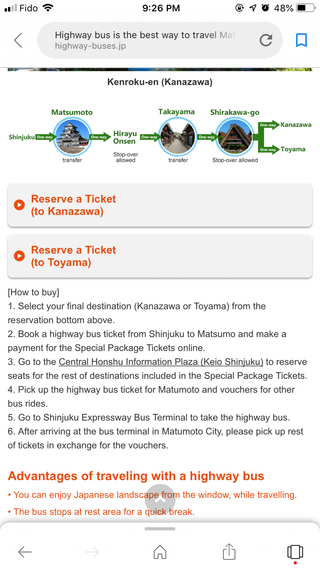 However, I get an error message when I click on reserves a ticket to Kanazawa or Toyama. 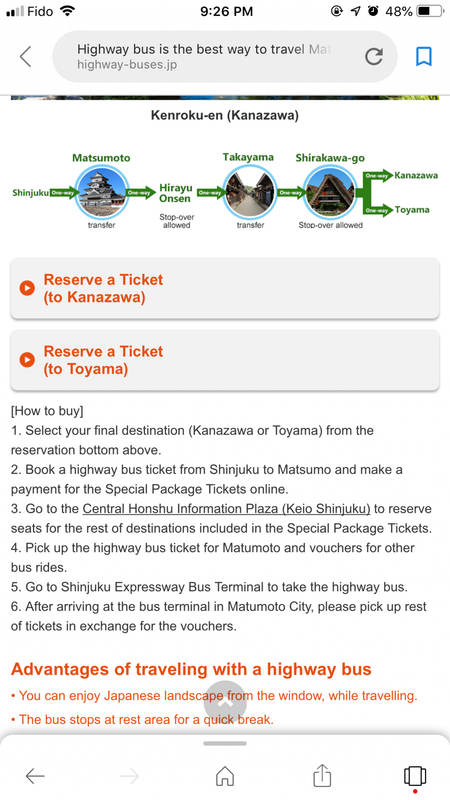 You can book Three Star Ticket from the following link. 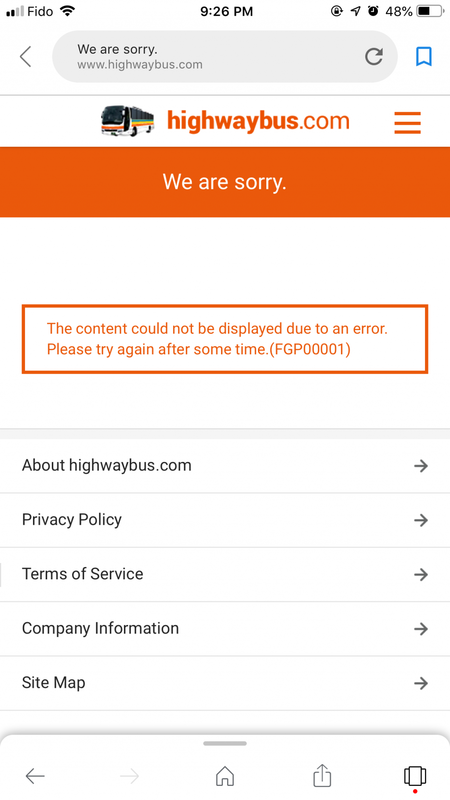 It seems like it is working now.